Through the Founders’ own voices — and in the homes they designed and built to embody the ideal of domestic happiness they fought to achieve — we come to understand why the American Revolution, of all great revolutions, was the only enduring success. The Founders were vivid, energetic men, with sophisticated worldviews, and this magnificent reckoning of their successes draws liberally from their own eloquent writings on their actions and well-considered intentions. Richly illustrated with America’s historical and architectural treasures, this volume also considers the houses the Founders built with so much care and money, for they are revealing embodiments of the ideal of life they strove to bring into being. That so many great thinkers — Washington, Madison, Hamilton, Jefferson, John Jay, the Lees of Stratford Hall, and polemicist William Livingston — came together to accomplish what rightly seemed to them almost a miracle is a standing historical mystery, best understood by pondering the men themselves and their profound and world-changing ideas. Through impressive research and an intimate understanding of these iconic patriots, award-winning author Myron Magnet offers fresh insight on why the American experiment resulted in over two centuries of unexampled freedom and prosperity. Washington died land-rich but cash-poor. Hamilton apologized to his creditors for the paucity of his estate. Does the world need yet another book on the American Founders? Yes, indeed: this one. To the familiar story of protest, revolution and constitution-making, Myron Magnet adds hearth and home. He blends political theory and historical narrative with guided tours of William Livingston’s Liberty Hall, George Washington’s Mount Vernon, Thomas Jefferson’s Monticello, John Jay’s Homestead and James Madison’s Montpelier, among other patriot residences. We are reminded that the inventors of America had mortgages, too. Mr. Magnet is an accomplished member of the cast of amateurs who have picked up the popular-history franchise that the American academic community tossed away. The great historians of yesteryear—John C. Miller, Samuel Eliot Morison, Robert H. Ferrell, Perry Miller—were scholars who wrote for all of us. Their books afford as much pleasure as instruction. Making proper allowances for a few shining exceptions, today’s tenured faculty members write mainly for one another. Mr. Magnet is himself a kind of recovering Ph.D. Seeing the light some years ago, he went to work for Fortune magazine and later edited the Manhattan Institute’s City Journal, where he is now editor-at-large. His book is a labor of love. In these pages, love of city vies with love of country. Mr. Magnet is the kind of New Yorker who regards his hometown as the one suitable place for the finalists in life’s competition to shine. Long before the Statue of Liberty rose in New York Harbor, Manhattan welcomed brains and beauty. Religion was no sticking point; talent was what mattered. Mr. Magnet roots for the Founders who were prepared to lay down a national version of the New York welcome mat—”Opportunity America,” he calls it. He wags a finger at the Tories, Francophiles or slave drivers who opposed that meritocratic ideal. Between Federalists like Washington and Hamilton, on the one hand, and Republicans like Jefferson and Madison, on the other, he’s all for the former. He prefers British constitutionalism to the French guillotine, as—we tend to forget—not every American did in 1798. 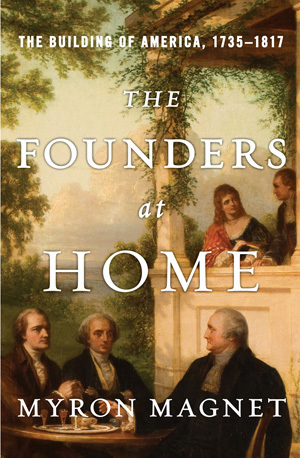 “The Founders at Home” tells its story chronologically. The narrative begins in 1735 with William Livingston, a New York firebrand who broadcast the libertarian ideas of John Locke. It ends in 1817 with the post-presidential twilight of James Madison and his captivating wife, Dolley. In between come the Lees of Virginia—including “Light Horse Harry” and Arthur Lee, the first a dashing cavalryman, the second a key American agent in Europe—as well as Washington, Jay, Hamilton and Jefferson. 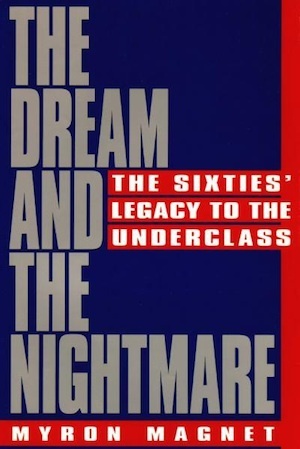 The narrative tissue connecting architecture and political theory is the oft-told story of the American Founding. Washington’s winter at Valley Forge, Hamilton’s affair with Maria Reynolds and Madison’s flight from the White House during the War of 1812 are among the familiar tales that Mr. Magnet tells all over again. The author finds another message behind the gorgeous Monticello bricks. Jefferson was forever building, thinking better of what he had built, razing what he had put up and starting over again. Putting up and tearing down was also Jefferson’s approach to revolutionary France. Never mind the rubble, he said in so many words—and never mind the corpses, he did say in almost those words. The ancien régime must go, no matter what the cost or who should succeed it; long live the Revolution! The author’s biographical sketches make a group portrait that is bigger and better than the sum of its parts. Individually, the Founders seem financially ill-starred. Collectively, they present a case study in the perils of leverage. Thus Washington died land-rich but cash-poor. Hamilton died apologizing to his creditors for the paucity of his estate. Jefferson and Madison, each once a member of the Southern slave oligarchy, died virtually broke. Many of the Founders left a country behind and little else. Mr. Magnet chooses to wall off between parentheses the arresting fact that even the New Yorker John Jay owned slaves. Otherwise he meets head-on the contradiction between the words and deeds of the slave-owning Founders. He can barely stand to quote Madison’s attempt to justify the Grand Compromise of the Constitutional Convention that resulted in counting a slave as three-fifths of a human being for the purpose of apportioning congressional seats and taxes. And he positively gags at describing Madison’s attack on the free-wage system—what a cruel and dehumanizing way to organize production, insisted the slave-driving Father of the Constitution. Mr. Magnet seems to have chosen not to draw lessons about 21st-century politics but rather to write history for its own sake. If so, he must have been tempted to backslide. What would Madison have to say about the infamous opt-out that members of Congress and their staffs enjoy from the Affordable Care Act? The reader is left to imagine. Perhaps each Founder would have his own opinion about life in America today. Franklin might thrill to Google, while Washington might not thrill to the hit reality-TV show “Here Comes Honey Boo Boo.” Alexander Hamilton would very likely cringe at the public debt, disconnected from anything resembling the “means of extinguishment,” as well as at the post-Nixon paper dollar, so similar in format to the worthless Continental. Among all the Founders in Mr. Magnet’s gallery, I would be most interested in hearing from John Jay, who, along with Franklin and John Adams, negotiated the peace that ended the Revolutionary War. Jay served as president of the Continental Congress, as governor of New York (in which capacity, in 1799, he signed a bill to effect the gradual abolition of slavery in the Empire State) and as plenipotentiary to the Spanish court. After the war, he negotiated the eponymous Jay Treaty with Britain that cleared up a number of sensitive issues with the former mother country. 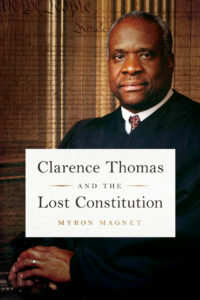 He became the first chief justice of the United States. Declining President Adams’s offer of a second term as chief justice, he retired to his 600 acres in Bedford, N.Y., a distant New York City suburb. There he planted trees and looked after crops, cider presses, saw mills and—a moneymaker, it says here—a dairy operation. Today at the Jay Homestead, according to Mr. Magnet, “all his furniture, still in the house, breathes the same republican gentleman’s solid simplicity.” The author relates that Jay was “the most devout of the Founders,” though he doesn’t say how he came to know that fact. What he does say is that the pious Jay worshiped at a jewel box of a church near his farm in the company of his dog, Bob. He must have been some kind of dog. Certainly, in Mr. Magnet’s happy telling, John Jay was some kind of man. In his masterful new book on early America, author Myron Magnet uses concise biographies of George Washington and other Founders to illustrate why our revolution unleashed more than two centuries of freedom and prosperity. “The Founders at Home” is a work of scholarship and a labor of love, and offers vivid reminders of the courage of extraordinary individuals who birthed a new idea on Earth. Take, for instance, the back-stabbing rivals trying to oust Washington as head of the Continental Army. Even as soldiers were leaving bloody footprints in the snow at Valley Forge, their commander had to defend himself against a vicious campaign by supposed comrades. Imagine if they had succeeded. Or consider the unsentimental wisdom of John Jay, the diplomat who negotiated the treaty for ­independence with Great Britain and later became the first chief justice. Jay warned against the false “nostrums and prescriptions” of the ambitious and greedy, and urged his countrymen to “take men and things as they are.” Otherwise, he wrote, “the knaves and fools in this world are forever in alliance,” and self-government was doomed. Magnet’s warts-and-all tour is so seductive in part because of our current troubles. Despite the success of the Founders’ grand experiment, events in Washington and around the world have many Americans fearing we are headed for a crack-up. The fear provokes a wish we had a Washington or a Jefferson to guide us now. But the genius of Magnet’s book is that the “home” in the title refers not only to the actual homes the Founders built, many of which still stand, but also to the profound personal responsibility they felt to their new nation. At enormous risk and cost, they created a model of patriotism that is not reserved for great men with lofty responsibilities. Their examples still matter because American exceptionalism ultimately is about ordinary people doing ­extraordinary things. It is not enough to complain about our leaders and declare a pox on both their houses. We the people are sovereign and get the government we deserve. If bums are running the country, look in the mirror. As I have said, my vote for Barack Obama in 2008 was a terrible mistake. I erred in hoping he would be what he promised to be instead of, as John Jay warned 200 years ago, what he actually was. Sadly, the rampant corruption and incompetence of his administration reveals the real Barack Obama, no matter what he says or whom he blames. Others probably feel ashamed of their votes for Speaker John Boehner or Majority Leader Harry Reid. Their behavior also reminds us that voting carries consequences. This does not mean that political strife is the problem. In fact, the system of checks and balances is based on the Founders’ assumption that human nature would be guided by self-interest, and that the clash of interests would produce a result that fairly represents the will of the people and the common good of the country. But, obviously, something is broken. The balance between rights and responsibilities has been shattered and the nation’s character diminished. The same sense of self-gratification and entitlement that infects our culture rules our politics. Elements of our government are as vulgar as the worst of our entertainment. If that virtue was eroded, he warned, by a “corruption of morals, profligacy of manners and listlessness for the preservation of the natural and unalienable rights of mankind,” America would degenerate into tyranny. No, we are not there yet, but ask yourself this: Where on the spectrum of our history are we? Are the founding virtues still intact, or has their spirit been eroded by the “corruption of morals”? Are we closer today to the ideals of liberty, or to the tyranny the Founders warned would follow the death of those ideals? Each of us should answer those questions and act accordingly. ­After all, accepting individual responsibility is the foundation of American exceptionalism. Has the Founders’ revival peaked? The big bios of the big names, now in big paperback editions, still sit on bookstore shelves, like Pleistocene megafauna, yet the subject stimulates feelings of both satiety and constriction. We have read a lot about the most famous Founders — the first four presidents (Washington to Madison) plus the two others who made it into our wallets (Hamilton, Franklin). The rest, however, struggle in their backwash; although there have been good recent books about Sam Adams, John Dickinson, Nathanael Greene, and others, they never seem to make 18th-Century Page Six. Myron Magnet has found a delightful way out of this cul-de-sac. The Founders at Home is subtitled “The Building of America, 1735–1817.” “Building” is a pun: All the men he writes about left homes that, centuries later, are still intact and visitable. But, by a shrewd selection of subjects, Magnet also covers the construction of a country, from first thoughts to finishing touches — from the Zenger trial to the Battle of New Orleans. His cast of characters allows him to erase the dichotomy between overexposure and obscurity. The heavyweights are well represented: Washington, Hamilton, Jefferson, Madison. But joining them are Founders most of us have barely or never heard of: William Livingston, the Lees of Stratford Hall, sober John Jay. 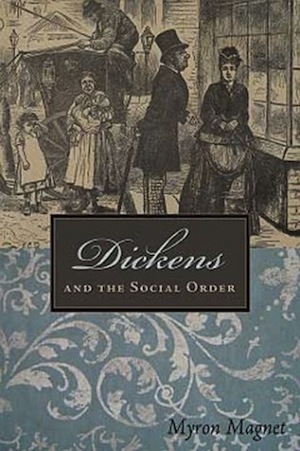 The Founders at Home gives the pleasures of biography, while putting us back in the texture and complexity of a world. Begin with the little-knowns. William Livingston, born in 1723, was a sprig of a wealthy Colonial New York clan. The Livingstons jockeyed for position in the elected assembly while baiting Crown-appointed governors. Much of their tussling was conducted in print: The Livingstons backed John Peter Zenger, the printer whose 1735 acquittal on a charge of seditious libel would unshackle Colonial American newspapers. In 1752, young William Livingston, a successful lawyer, launched a journal of his own, The Independent Reflector, to comment on a proposal to found a taxpayer-supported Anglican college in New York City. New York was religiously diverse even then, with all sorts of Protestants and a handful of Jews. Livingston hated the scheme. A “tax ought to be considered as the voluntary Gift of the People,” he wrote. “The civil Power hath no Jurisdiction over the Sentiments or Opinions of the Subject, till such Opinions break out into Actions prejudicial to the Community.” The college — King’s College, now Columbia — got founded, but Livingston had injected a dose of applied Locke into the American bloodstream. Stratford Hall, as befits such a family, looks odd. Its lines strike me as rather East German, as if it were a factory for making surveillance equipment. But the bricks of which it is built give it a warm, rich glow. Of the prima donnas in The Founders at Home, perhaps the two most striking are Alexander Hamilton and Thomas Jefferson, in part because of their homes. Magnet is a partisan: He admires the young colonel from St. Croix, and he seems rather suspicious of Mr. Jefferson. 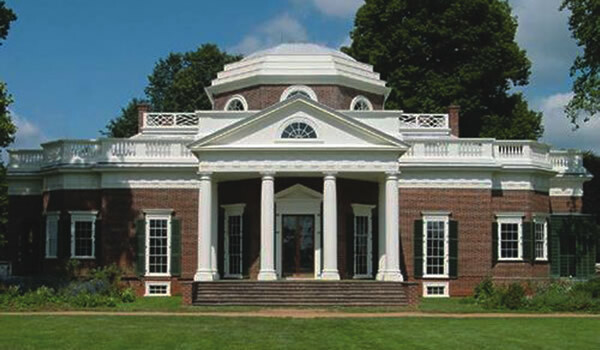 But when their houses face off, Monticello wins — though it is a near-run thing. Perhaps the best of Magnet’s portraits is that of his man in the middle, John Jay. There he is, on the cover of your college paperback of The Federalist Papers. Yet when you open it, as you surely do, you notice that he wrote only five of the 85 essays (he fell sick early on, then was knocked unconscious in a New York City riot). You may remember that he negotiated a treaty that bears his name, and for which half the country execrated him. What does this man have to offer us? A lot that needed doing and that was not pretty. Jay’s hardest service came during the Revolution. Son of a family of New York Huguenot merchants, he ran the ominously named Committee for Detecting Conspiracies. New York was split between patriots and loyalists, and each side had guerrilla enforcers (Skinners and Cow-boys, respectively). “Punishments must of course become certain,” Jay wrote, “and Mercy dormant, a harsh System repugnant to my Feelings, but nevertheless necessary.” He also ran a Hudson Valley spy ring, whose adventures he later recounted to a young family friend, James Fenimore Cooper, who turned them into his first bestseller, The Spy. Later in the war, Jay served as a diplomat in Spain and France. There he learned that allies can be as bad as enemies. When it came time to negotiate the Treaty of Paris, he encouraged Britain to give the United States a good deal, to keep it independent of France. Treaties, he explained, “had never signified any thing since the World began.” The former colonies and former mother country should base a new relationship on common interest. The pictures in Magnet’s book are splendid, 32 pages in full color. Read about these houses, and their owners — you will find a mix of men who did their country proud. Also available in e-book and audiobook editions.